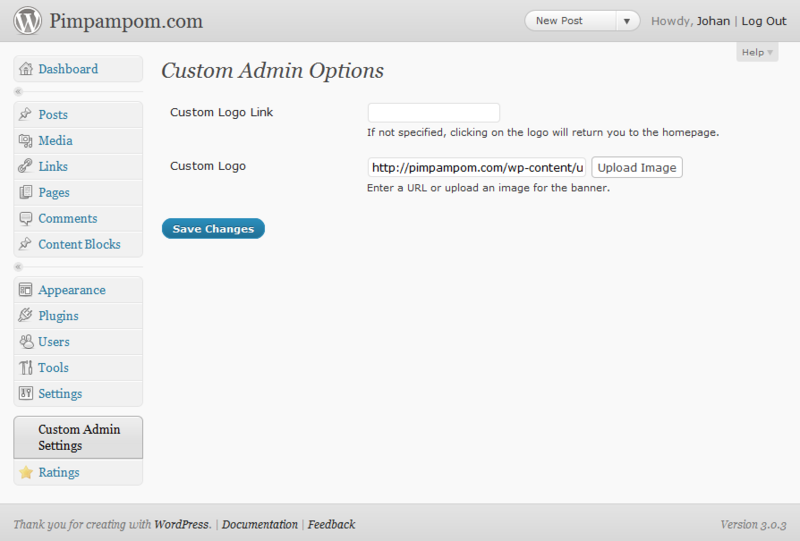 After the successful launch of our WordPress Custom Post Widget, we are proud to announce our Customize Admin plugin. This new plugin enables you to brand the WordPress CMS by using your own logo on the WordPress login screen. You can also specify a clickthrough url for the logo. With the integrated WordPress image manager it is very easy to upload your own logo and use it on the login screen. All texts of the plugin can be localized by using the provided translation files. We are planning to extend this plugin with functionality for modifying the header logo and footer text of the WordPress admin interface and possibly with the option of disabling certain parts of the CMS application. This entry was posted in Updates and tagged plugin, WordPress by Johan. Bookmark the permalink.